Home Beyond the Obvious of Delhi University Colleges Should We Only Vote for Educated Representatives? The elections are here and it’s time to vote! But the representatives we choose should be educated or not? Is it an elitist, exclusionary view to believe that our leaders should be qualified/conventionally educated? 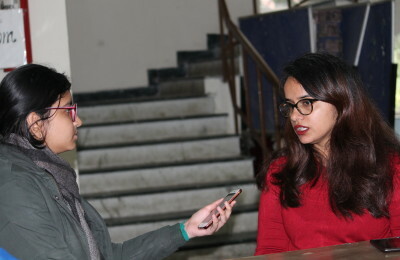 The 2019 Lok Sabha elections are around the corner and young adults who’ve entered universities and colleges are going to vote for the first time. It’s exciting when you think about it and a little scary too. You’re now an adult who can take decisions for the country, to choose representatives that talk and discuss your ideas and interests in public spaces, who don’t make false promises, who actually work to lead the society towards the growth, upliftment and development. But time and again, debate has arisen around the issue whether the people who choose to stand for elections should possess basic minimum educational qualifications or not. Let’s talk about why this view is incorrect. Education is a privilege in a country like India. It’s regressive to bar a bunch of people from contesting elections because they aren’t privileged enough to qualify. Educational restrictions are basically code for class, caste & gender exclusions. Women and Dalits were worst affected by it. There is no evidence to demonstrate that people with a formal education can do a better job as elected representatives than those without. For example- Meena Behen, the first woman sarpanch from a village in Gujarat, in the district Vyara, heads an all-women panchayat board. In a patriarchal society, where women were never allowed outside their houses, not even allowed to talk in front of men, Meena dared to bring about change and succeeded. Gaining confidence and leadership skills while running a self-help group (helped by World Vision India), Meena worked hard to empower the women of her village while improving basic infrastructure like roads, hospitals and schools. Formal education has no necessary connection with the qualities required for good and competent political and administrative leadership. We live in a democracy, and at the heart of our democracy is the concept of representation: voters decide who will best represent their interests, and elect them to legislative bodies accordingly. Therefore, when you say that formally uneducated should be barred from contesting elections, what you’re effectively saying is that you don’t trust the voters to decide who will best represent their interests. It’s not the peoples’ fault that they were unable to get a formal education. Deprivation is function of social discrimination, not individual character flaws. It has no tangible effect on the quality of decision-making, it is counter to the fundamental logic of democracy, and that it is discriminatory. Do not forget that there is a long history of denying, curtailing and interfering with the democratic process because the people in power believe that other people are incapable of using the vote in a “fitting manner.” This was the logic of the British regime that imposed property qualifications on the vote, tried to impose a “wifehood” qualification, and all kinds of restrictions. When our Constitution was being framed, some of the members of the Assembly wanted to restrict the franchise, because they feared giving it to a vast number of “illiterate Indians.” Fortunately, they were overruled, and a great leap of faith was taken. This leap of faith was to transform India into a full-blooded democracy, and not a hollow shell of a democracy. This means that, at the end of the day, as a democracy we should respect the autonomy and decision-making capacity of the voter.